Are you ready for the summer? We know it hasn’t been a particularly warm spring so far, but it’s always worth looking ahead – certainly if you’re like us and you just can’t wait for the sunshine to arrive. Additionally, if you own a bar, pub, club or any other kind of establishment that serves drinks, summer is the perfect time to stock up on bar equipment Manchester-wide and get ready to serve tasty, ice cold refreshment to anyone that needs it! But how do you ensure that your drinks will always be cool and ready to go on a hot day? Ice makers of course! As top quality suppliers of the best bar equipment Manchester has to offer, every single one of the ice makers that we have in store is ready and waiting to exceed your every expectation thanks to a host of innovative design features and reliable automation to ensure that you’re never left without a completely fresh supply of ice at any point during the working day. 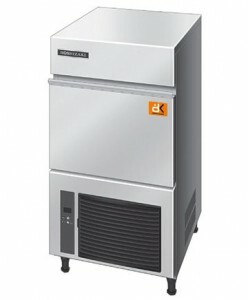 Our ice makers will always handle even the largest quantities of ice production no matter what, so you’ll never have to worry about giving them too much to do! 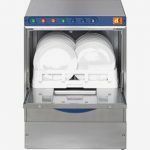 What’s more, while our full stock of bar equipment Manchester-wide is packed full of absolutely incredible appliances that will never let you down, we pride ourselves on the top standards of customer service by which we’ll be able to deliver your ideal ice makers and more in no time at all. Our team will make sure that you always have a source of comprehensive knowledge ready to shed light on any issue and provide insightful answers to your questions, so you’ll never be left in the dark. We’ll always be around to provide regular maintenance and emergency repair work, too, so you can rest assured knowing that we have you covered no matter what! So what are you waiting for? If you find yourself in the market for ice makers perfect for adding a much needed cool touch to your refreshments and drinks when summer hits and temperatures rise, make sure that DK Services is at the top of your list. 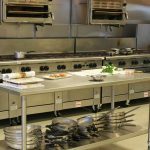 You can always find our full contact details on our website, so don’t wait to pick up the phone and get your hands on our top quality bar equipment Manchester-wide today!